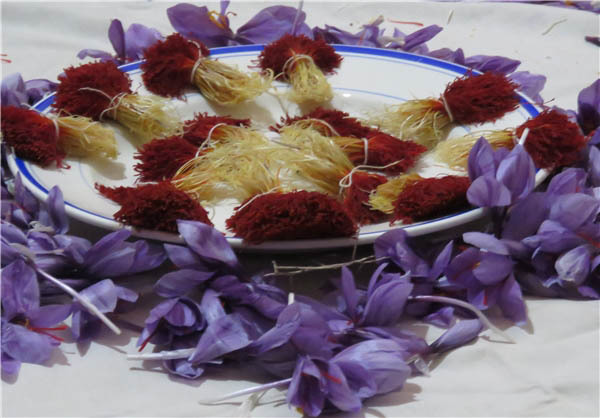 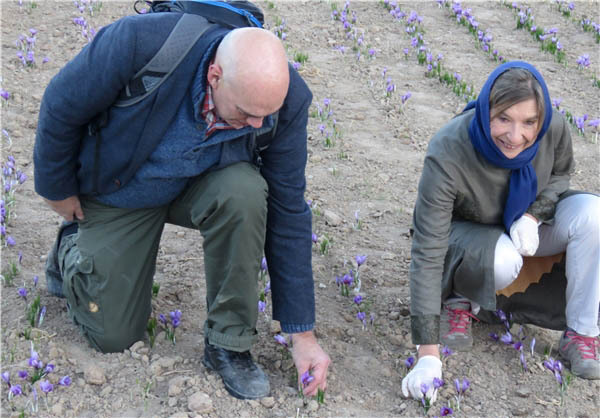 On a visit to the town of Khusf, which is known for its quality saffron, the Norwegian ambassador to Iran helped farmers gather their crops. 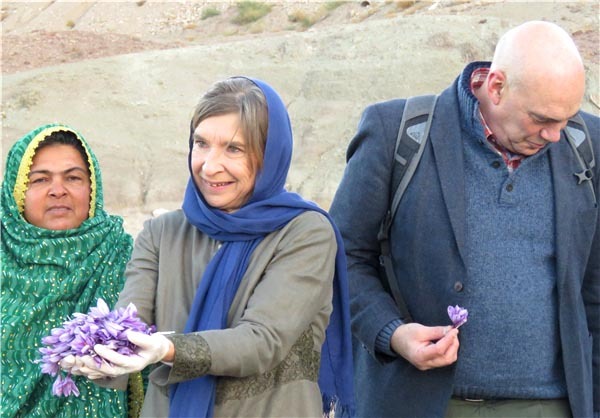 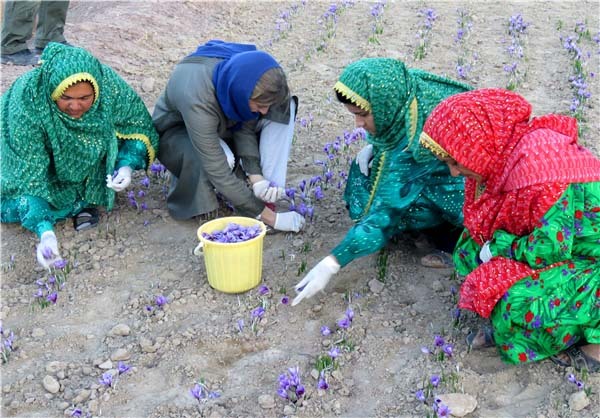 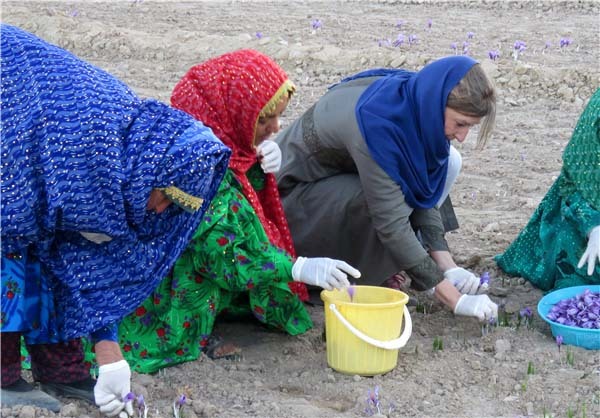 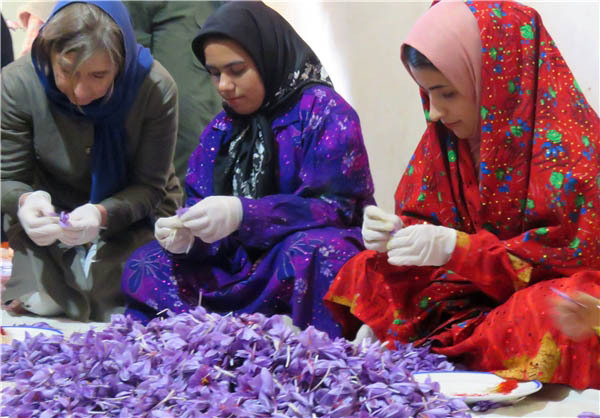 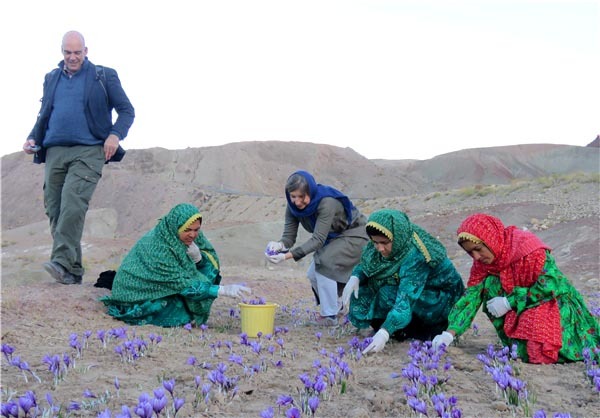 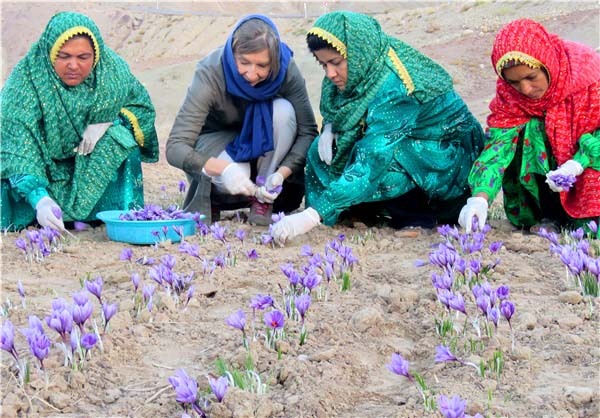 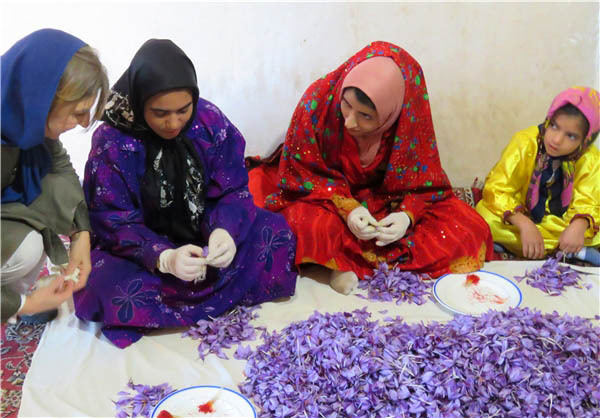 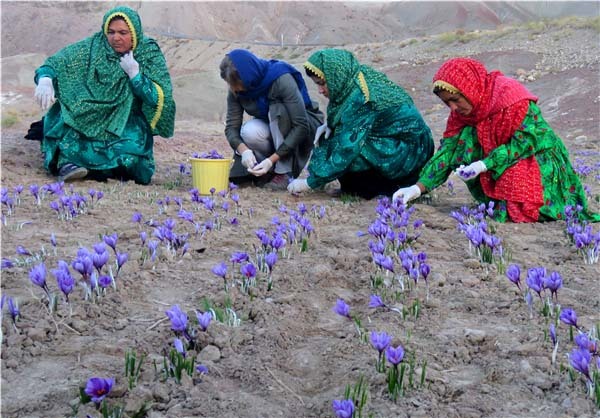 Norwegian Ambassador to Iran Aud Lise Norheim has gone to a saffron farm in a village in South Khorasan Province to give farm hands there a hand harvesting their crop. 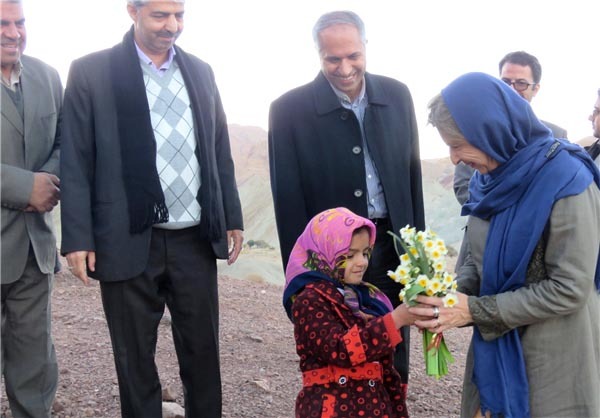 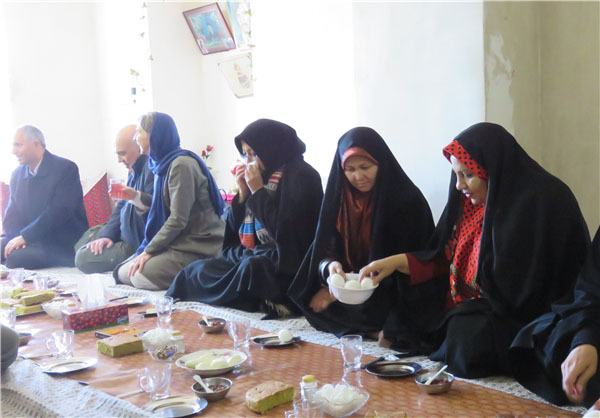 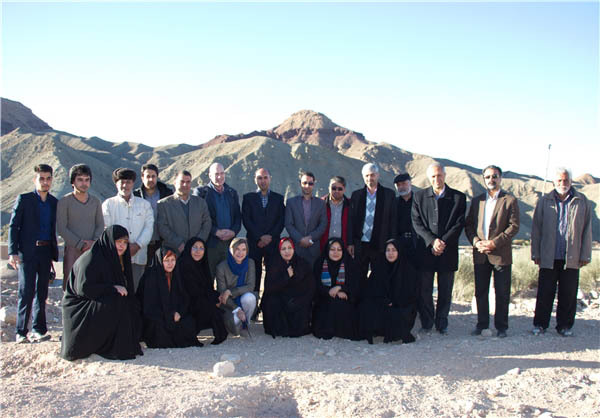 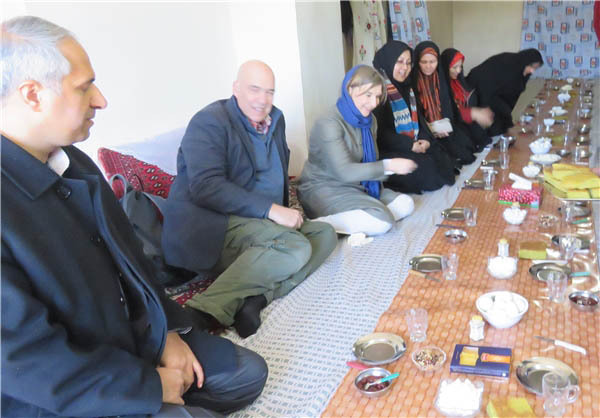 On a visit to the town of Khusf, which is known for its quality saffron, the Norwegian diplomat had breakfast with a group of villagers after she helped the farmers.